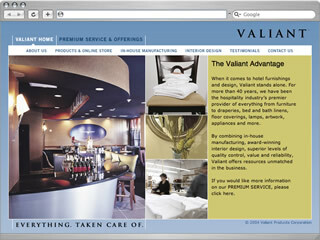 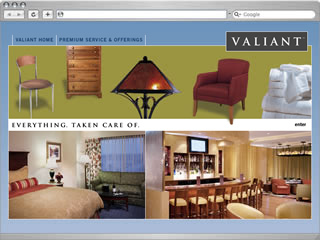 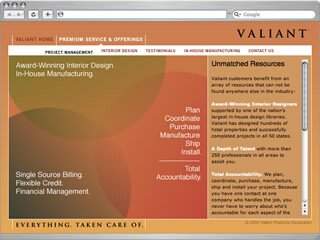 Valiant Corporation is a leading provider of, well... everything—from furniture to equipments to curtains to linens to lighting to carpet to interior design—for the hospitality industry. 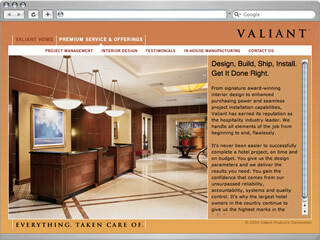 Not only that, they also handle the logistics to deliver on time and on budget. 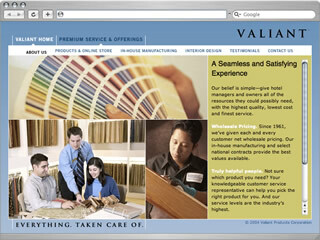 The websites provide a bird's eye view look at the breadth of offerings and services.